During the last five years, the Barnard Castle-based company has invested in a state-of-the-art education facility, The Training Academy, and hi-tech equipment. The Training Academy, which launched last year, uses the firm’s century of experience in the sign, graphics and interiors industries to train and inspire businesses to explore new markets, upskill their workforce and identify growth opportunities. 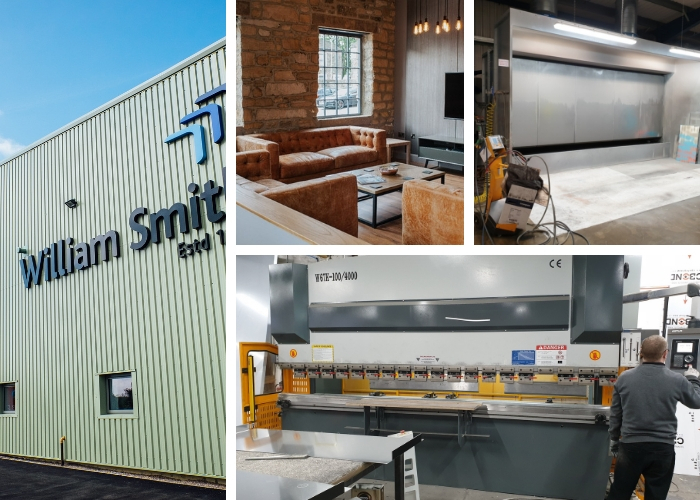 Following the popularity of the Academy, which currently offers 10 courses, ranging from film application and wrap training to sales, William Smith Group 1832 hopes to increase the number of courses offered. The company has also invested significantly in advanced manufacturing equipment, including a channel letter bender, powder coat facility and a pre-wash station for Smith, the trade-only supplier and manufacturing division for signage. This equipment has helped the business to improve efficiency, reduce lead times and provide higher quality products. Due to increasing demand for its products, trade manufacturing at the company has flourished, leading to it moving its fabrication team into a new factory, which is double the size of the previous facility, and employing 10 new recruits over the last three years. The company has also expanded its material product offering with the introduction of numerous new vehicle wrap and architectural films and accessories, including new additions from VION, Avery Dennison, Arlon, 3M and Cover Styl’. Chris Bradley, Head of Marketing, said: “It’s been a very busy period for the business but the growth we’ve experienced, in these uncertain times, has been great and thanks to the investments we’ve made, we’ve been able to continue to develop as demand has increased. “The Training Academy has been our biggest venture and it shows our commitment to developing skills, introducing new services and boosting businesses across the industry. “From improved marketing and sales resources, to the channel letter bender, which is used to create Built-Up Letters, and powder coat facility, we’ve been able to save time, produce outstanding finishes on signage and ensure our customers receive superior products and materials.